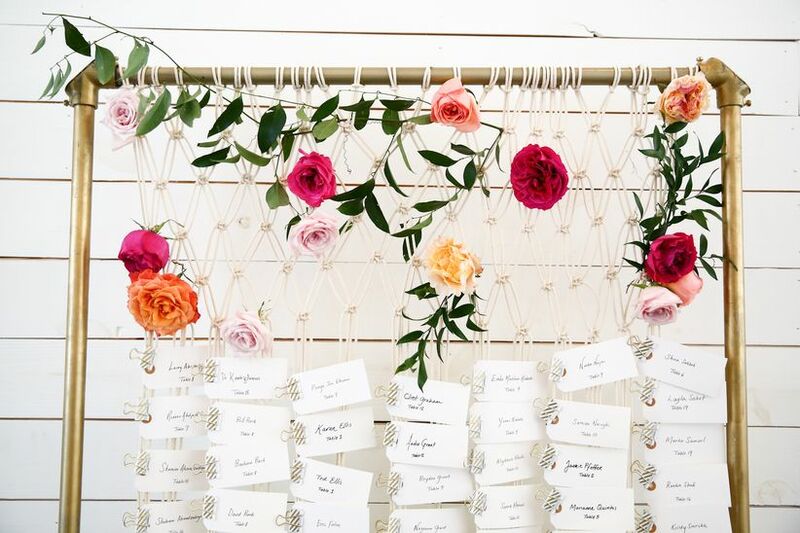 Bohemian wedding style is totally the new rustic. 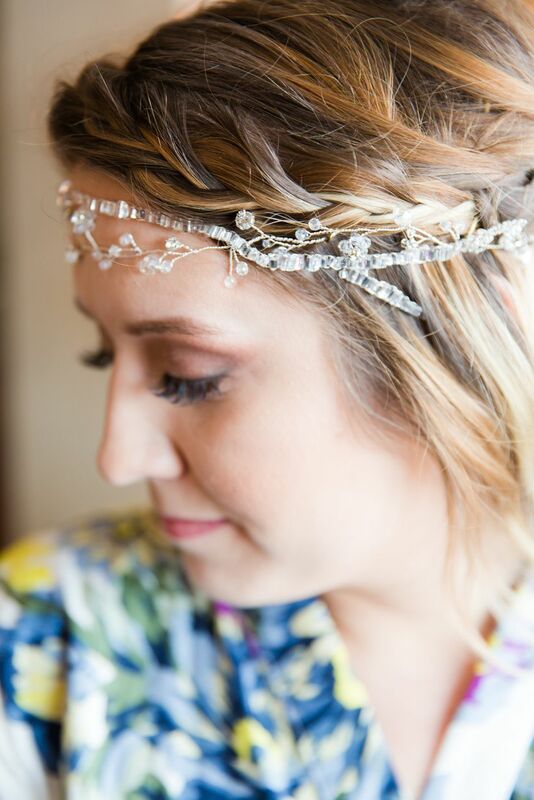 Here's how to incorporate bohemian style into your big day. Rustic weddings have been all the rage for the past few years as couples look to the outdoors for inspiration. But as with all trends, the rustic theme has begun to evolve into a new style: Enter the bohemian wedding. This “new rustic” has an outdoor, relaxed look and feel combined with a more artistic and mismatched vibe. 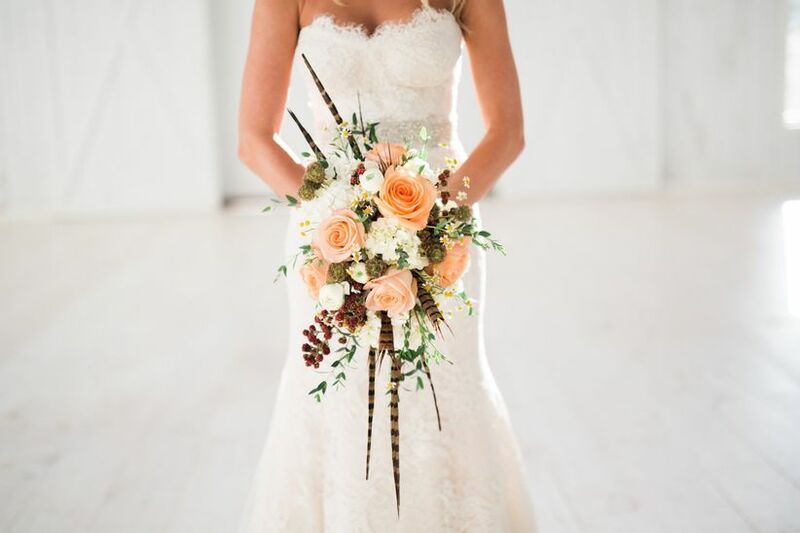 Couples will want to bring in a wide range of bohemian wedding ideas to enhance the look and feel, including crystals, dreamcatchers, colorful and woven textiles, and lush florals such as cascading bouquets, flower crowns, and blooms woven into braids. 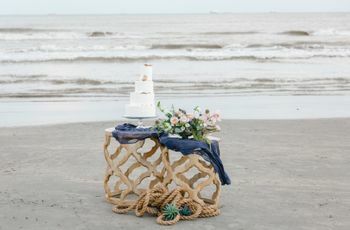 Here’s how you can update your rustic look for a more bohemian wedding style. 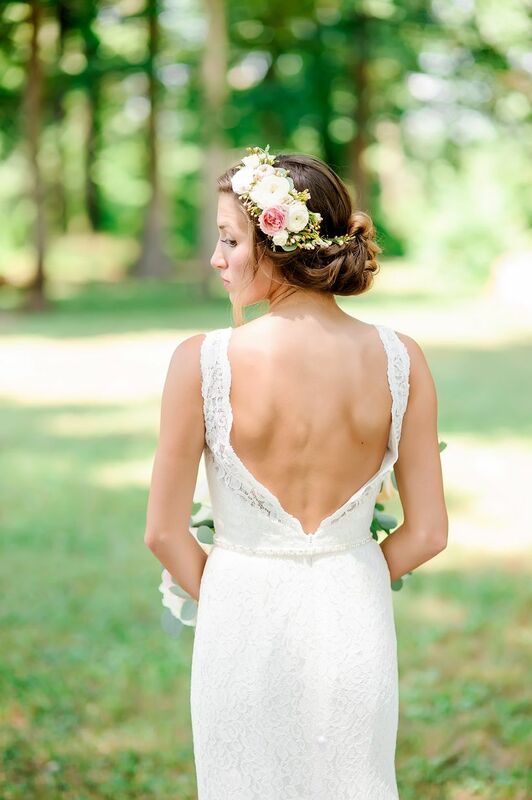 A rustic wedding hairstyle may include a small cluster of flowers, loose waves or tight braids, but a bride planning a bohemian wedding will opt for many flowers woven into her hair, or a braid that is looser, such as a fishtail braid or a four strand braid. 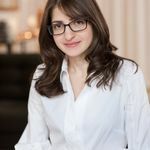 Vintage-styled jewelry is a popular choice for rustic brides and grooms for their wedding rings, and the bride’s day-of jewelry, with Edwardian and Deco pieces being quite popular. Small and large quartz crystal necklaces grace the necklines of the bohemian bride, as well as turquoise jewelry and metallic floral garlands, headbands and crowns that reflect inspiration from nature. 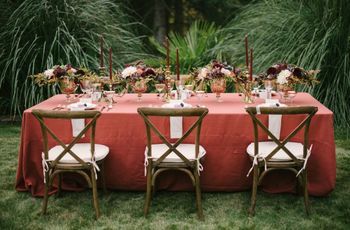 Each type of rustic wedding has a unique look that is enhanced by the linens chosen for reception tables and other wedding details. 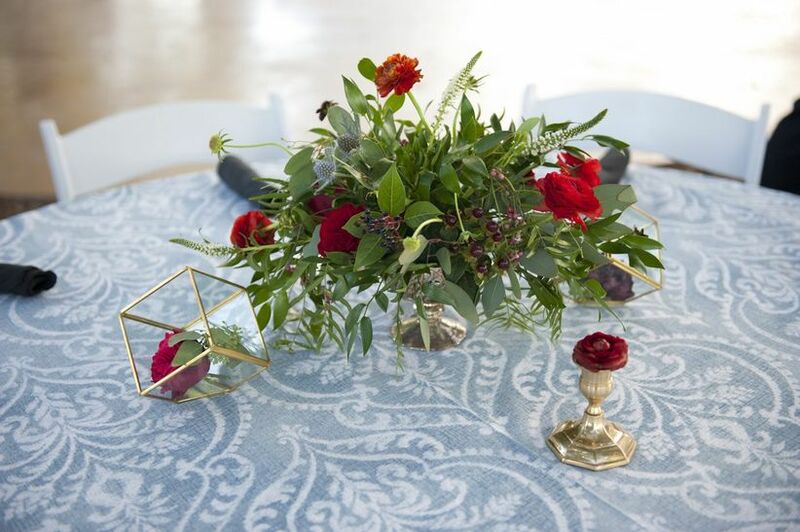 For example, lace will create a vintage vibe, while checkered red and white tablecloths have a more laid-back country feel. For a bohemian look, a couple should select woven fabrics, such as macramé and crocheted textiles. 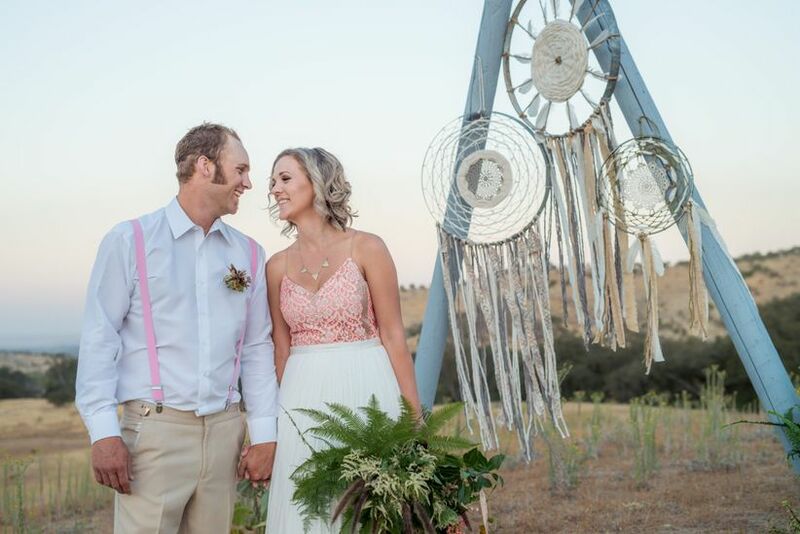 Macramé can be used as a wall hanging backdrop for your wedding ceremony, or to frame your wedding cake. Or hang potted plants in the reception room, or tent, in crotched holders. Mason jars are synonymous with rustic weddings. Couples have used them in all sorts of ways – to place candles, drinks and wedding favors. 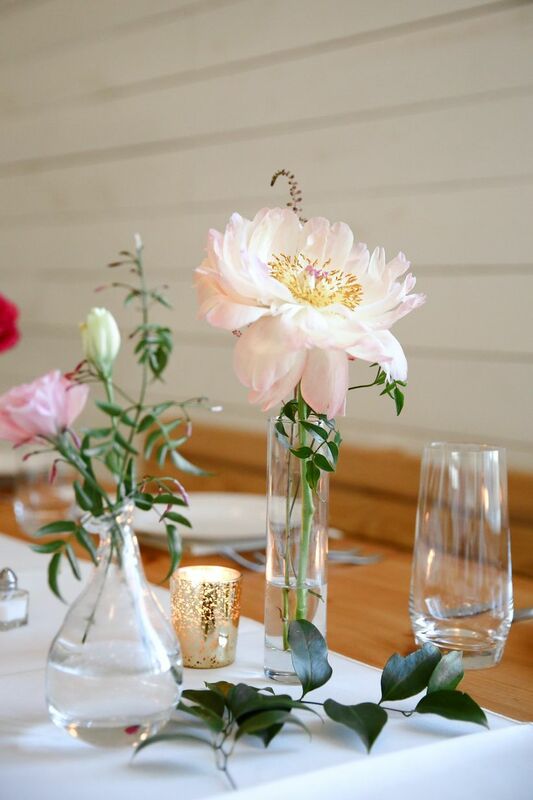 At a bohemian wedding, skip the mason jars and use small glass fishbowls to hold candles, glass test tubes for favors and other glass containers sealed with a cork or fabric to contain the items within. Lights strung over tables, as either strings of lights bistro-style or a chandelier in a barn, reflect the rustic look we have all grown to love, but opt for fabric items to hang from above with dreamcatchers or God’s Eyes in a range of sizes and colors. 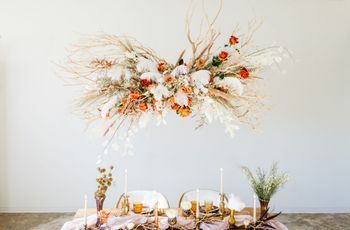 Unlike rustic weddings where burlap, twine and even horseshoes may accent various wedding details, bohemian weddings often feature feathers as the accent of choice. Grooms may opt to wear a feather boutonniere, patterned feathers can adorn each place setting, a bride will wear a feathered headpiece, garlands of feathers could grace the ceiling, and dipped in gold or glitter feathers can decorate the wedding cake! The best way to set the wedding’s tone early on is to select a wedding invitation that truly reflects the look and feel you’re looking for. Rustic wedding invitations may feature bold flowers as an accent or framing the wording, wood grain in the design or a chalkboard-style font. 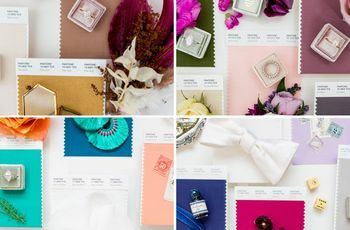 You’ll see more mixing of font styles on a bohemian-styled wedding invitation, along with feather motifs, dreamcatchers, crystal or geode designs and more patterns and geometric shapes repeated. Renting couches and comfy chairs and placing them in an outdoor setting has been a must-have for creating that lounge-like feel at rustic weddings. 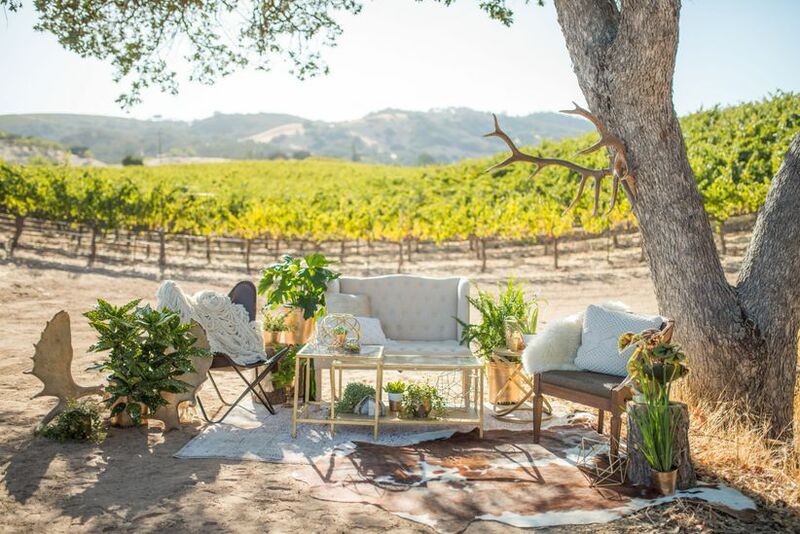 Bohemian weddings want to have the lounge look too, but instead of furniture they’re more likely to have decorative rugs and pillows scattered around the outdoor setting for picnic-style lounging. You may also find teepee structures on the grounds to fit two or more guests comfortably. Garlands, wheat, wildflowers and succulents are staples of rustic wedding reception tables. At a bohemian wedding, reception centerpieces pack a punch with lush blooms in a range of colors from rich jewel tones to soft pastels. Vessels may be set on runners of macramé or decorative woven textiles. Naked cakes exploded as the cake of choice at rustic weddings, but for the bohemian couple, cakes are getting more coverage, via icing. Buttercream and fondant are boho approved, and you’ll find couples looking to express themselves in their choice of wedding cake too. Semi-naked cakes, where you can barely see the layers of cake beneath the frosting are an update to the naked cake. 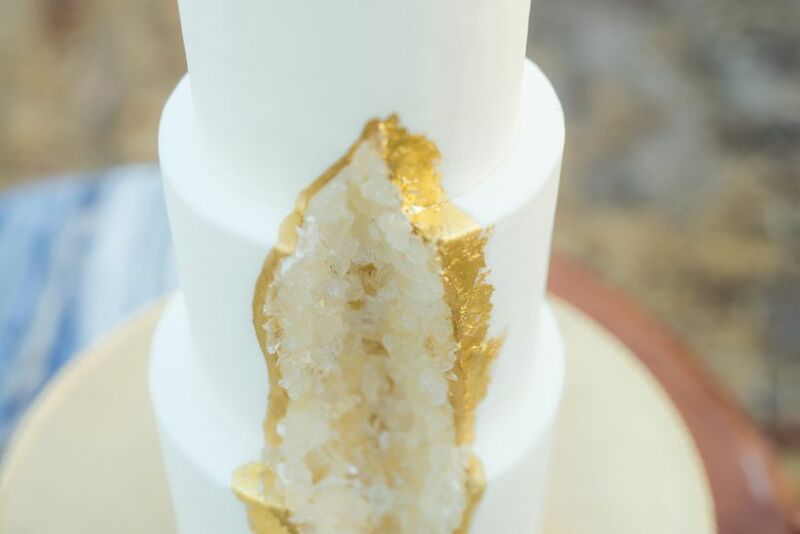 Wedding cakes with geode or crystal decorations – made from sugar crystals – are a nod to the themes quartz crystal inspirations. 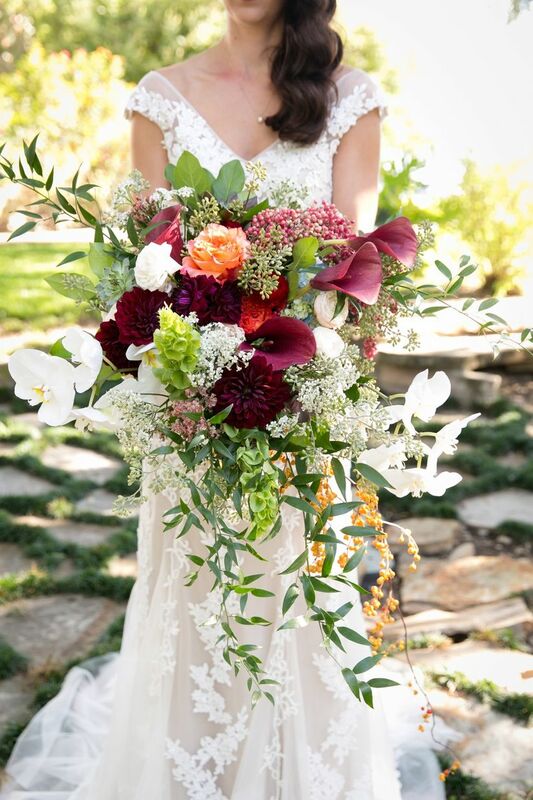 For a more traditional design, real (and large) blooms may adorn each tier or lay on the diagonal in a garland style.